APARNA Kumar, who became the first woman Indian Police Service (IPS) DIG and Indo-Tibetan Border Police (ITBP) officer to successfully conquer the South Pole, has set her eyes on another summit. According to an official release, Aparna is now headed to the North Pole. She will start the 111-mile journey from April 4 from Norway’s Oslo. 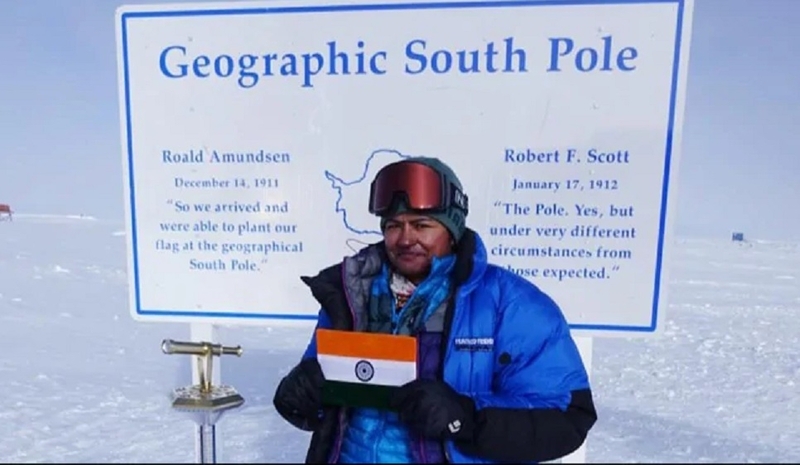 Kumar had reached the North Pole on January 13. She will also make the third attempt to scale Mount Denali in July this year. Aparna has successfully reached the South Pole after covering 111 kilometres of walking on the snow. She also carried equipment weighing 35 kilograms along with her. She has already scaled the top six mountain peaks of the six continents of the globe. She reached the South Pole on January 13, where she unfurled the National and ITBP flags. Aparna is a 2002 batch UP Cadre IPS officer, who has been posted at the Northern Frontier Headquarters of ITBP in Dehradun.